I haven’t had time or energy to unpack my sewing room, everything is just sitting in boxes, and I haven’t sewn a stitch since June 20th (I’m not counting or anything) so it’s nice to have a fantastic finish to share with everyone! 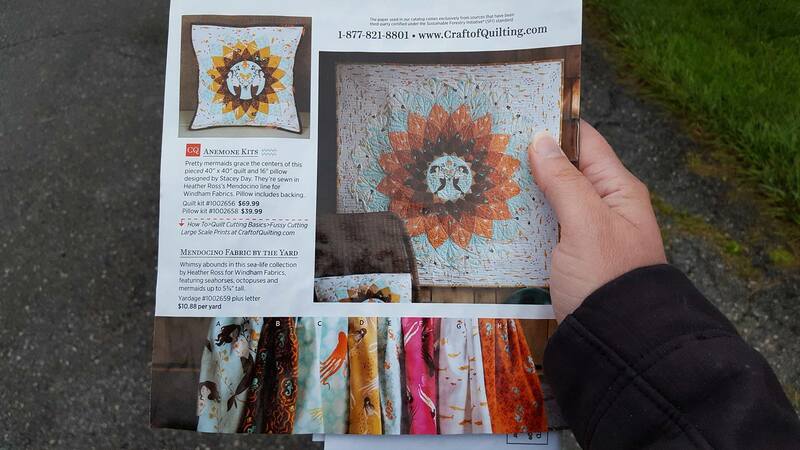 Thankfully it is a kit available on Craftsy, and they take some GORGEOUS pictures, so I can share some of those! Woot! 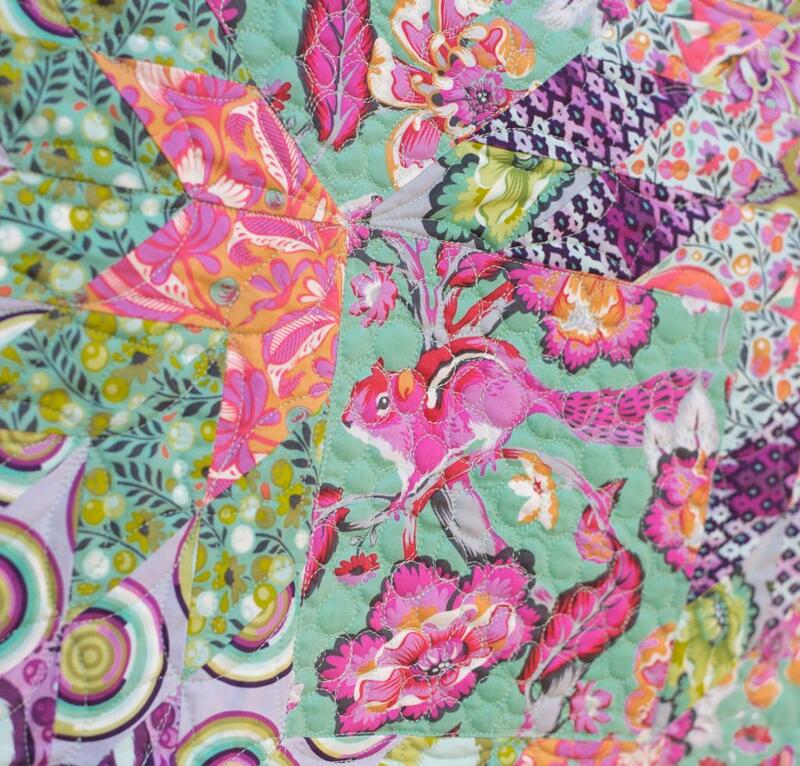 I quilted this pretty heavily, but as you can see, the prints absorb it really well, so it creates a nice suprise when you get up close. 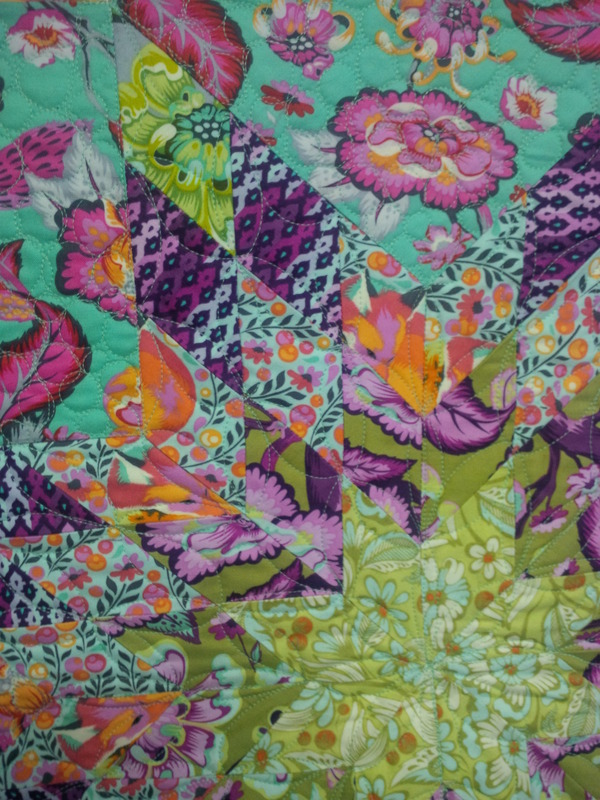 I used all Aurifil 40wt for my quilting. 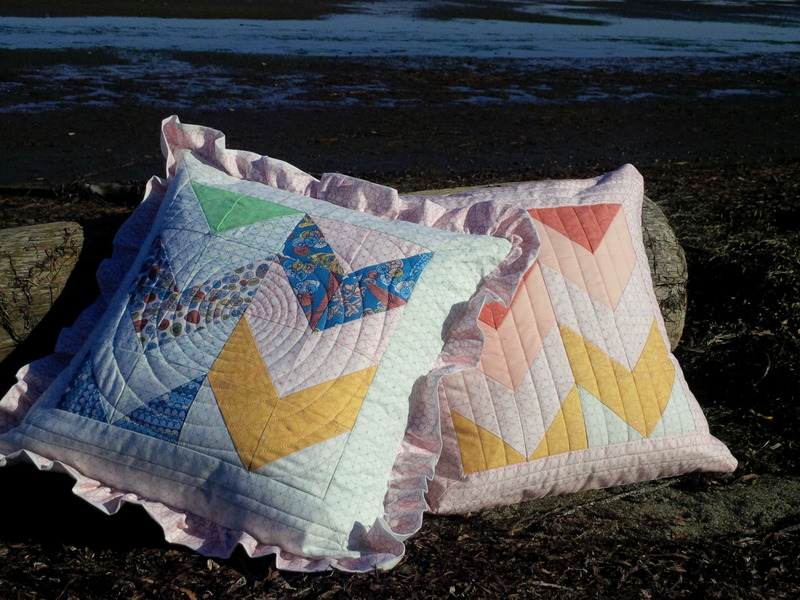 A light lavender for the star points, a light teal for the chipmunk squares, and light mint for the background. 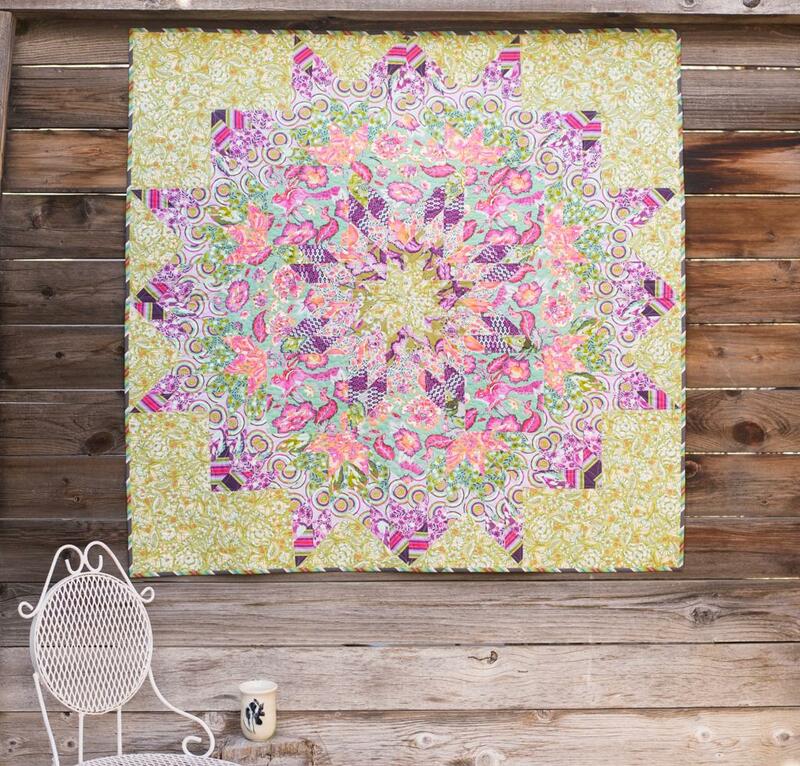 I did an all-over triple paisley motif in the background that I really liked, and it worked well with the print. The chipmunks were all pebbles, and the star points were an orange peel motif. That took a little bit of thinking to avoid too much backtracking but I finally got it worked out. I especially LOVE the bias binding, I love bias striped binding! 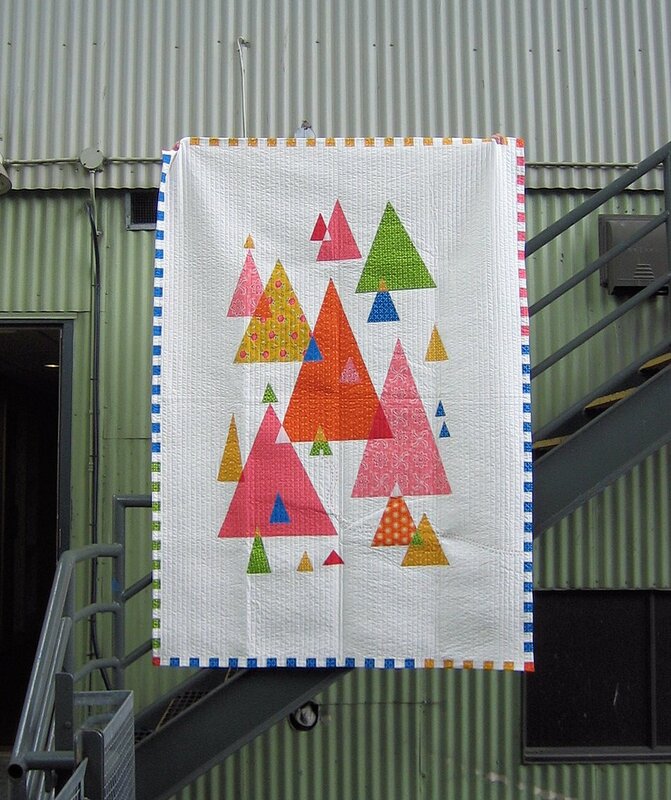 I am super happy with how this quilt came out! 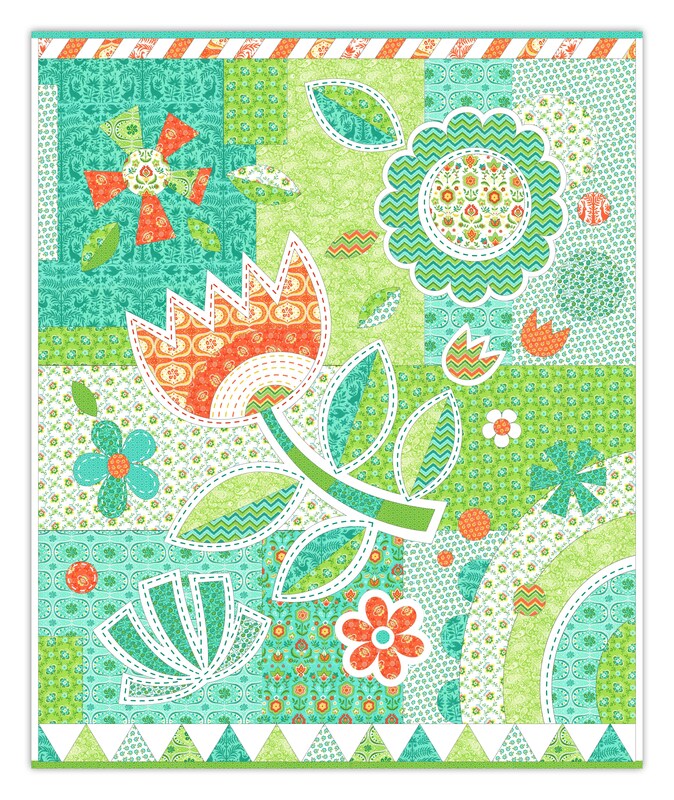 You can get your own Bloom Kit from Craftsy by Clicking HERE. Down by the Sea is finally ready and available! 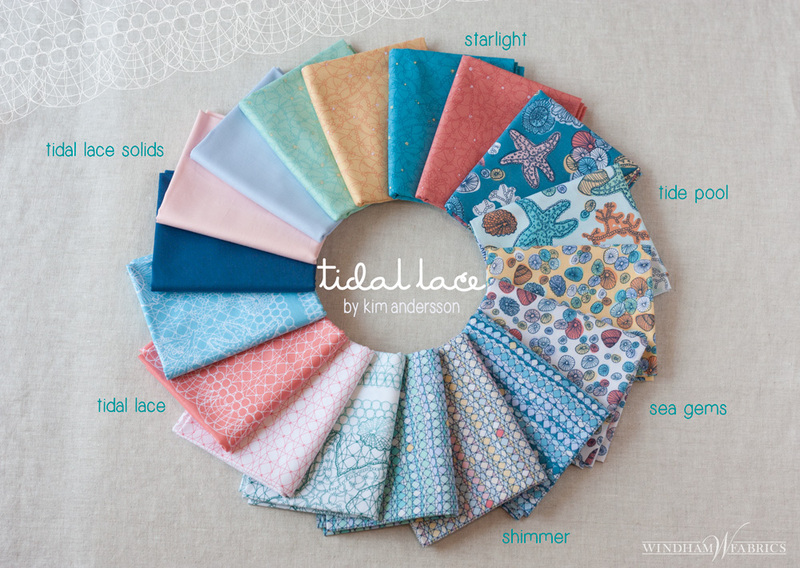 Just in time too, as Tidal Lace, the collection this quilt features, is shipping to stores now! Kim @ I Adore Pattern did an amazing job with this line, and I absolutely love it. 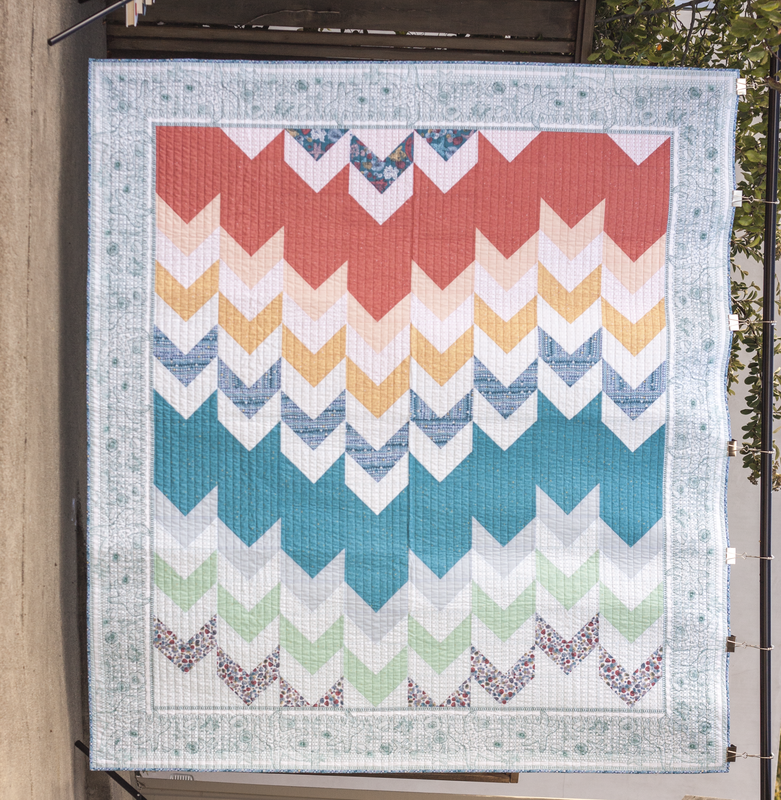 The pattern includes a size chart for four different sizes from Crib to King, as well as optional yardage cutting for a separate border and background. 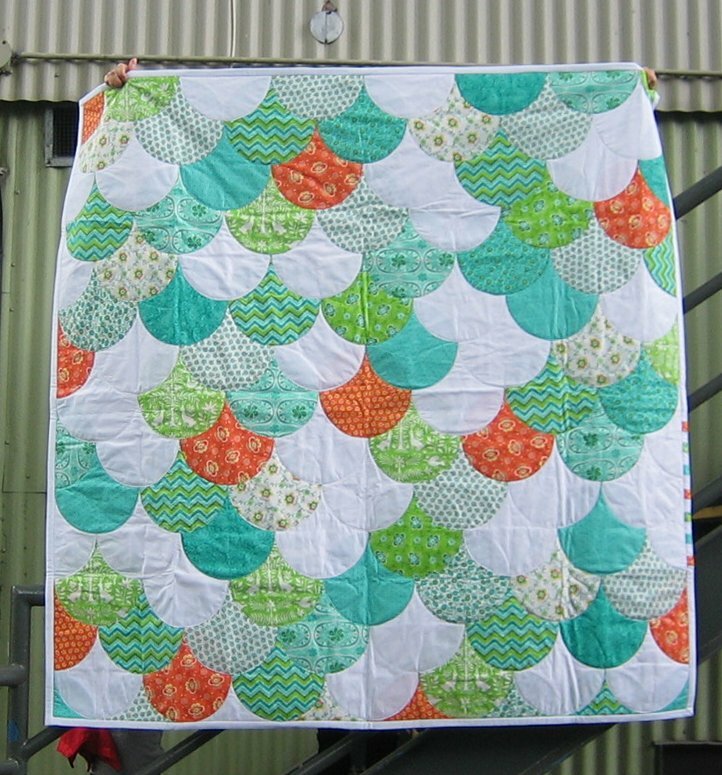 Down by the Sea is beginner friendly and easy to put together! 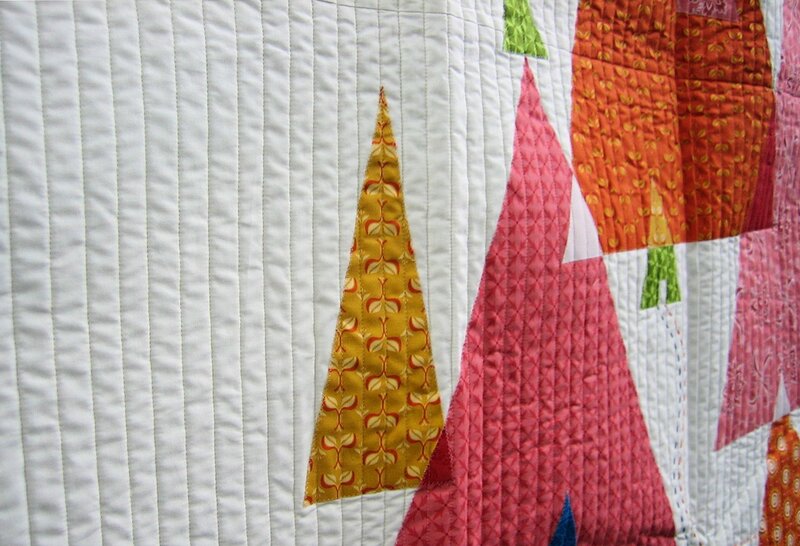 I also have a free tutorial for using the triangle scraps from the quilt to make some pretty throw pillows! 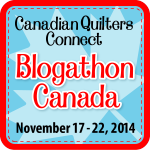 You can also relive the fun of the Tidal Lace blog hop from that link. You can follow the link HERE for the pattern, which is available in my Craftsy Shop. This is just the first of many big things to come this year, so be sure to follow along! That’s right! 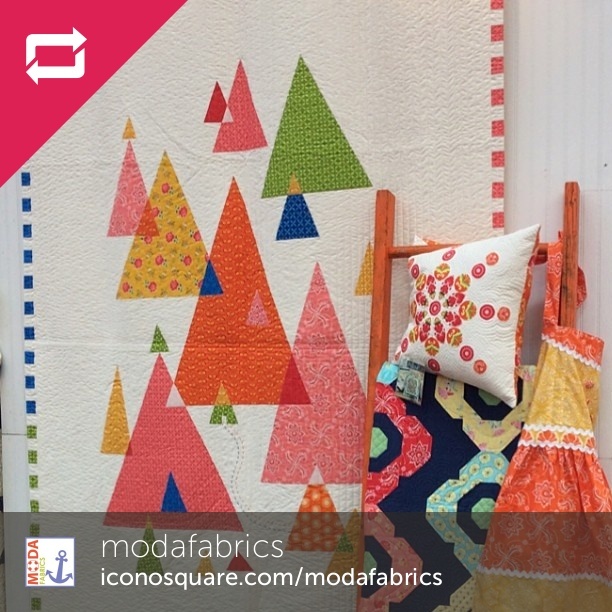 That is MY quilt hanging in the Moda booth at quilt market!! Wheee!!!! I recently got on doing work for a local fabric designer, Stephanie Carter. 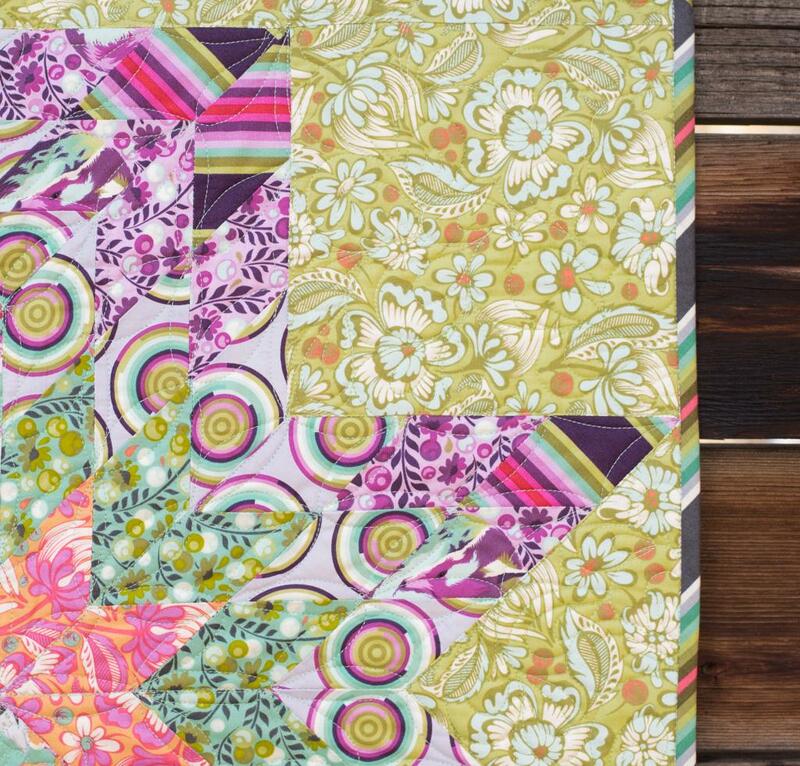 She owns Lily Ashbury Design Studio, and among other things, she designs fabrics for Moda. 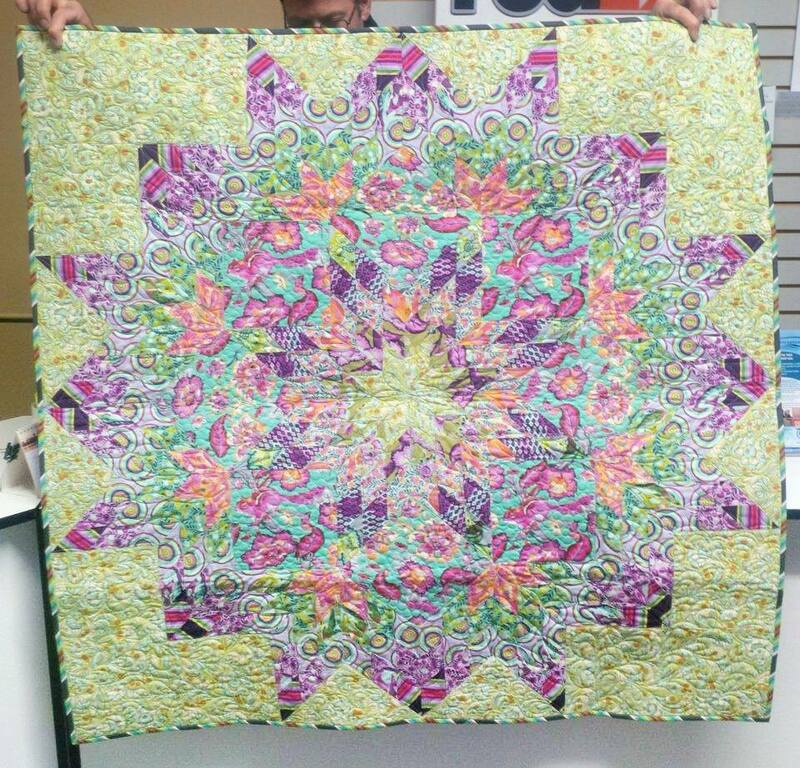 She designs the quilts and then I get to make a working pattern from her specs. Its a whole lot of fun for me, since this is what I went to school for too many years ago. Fancy is the second collection I have had the privileged of working with. 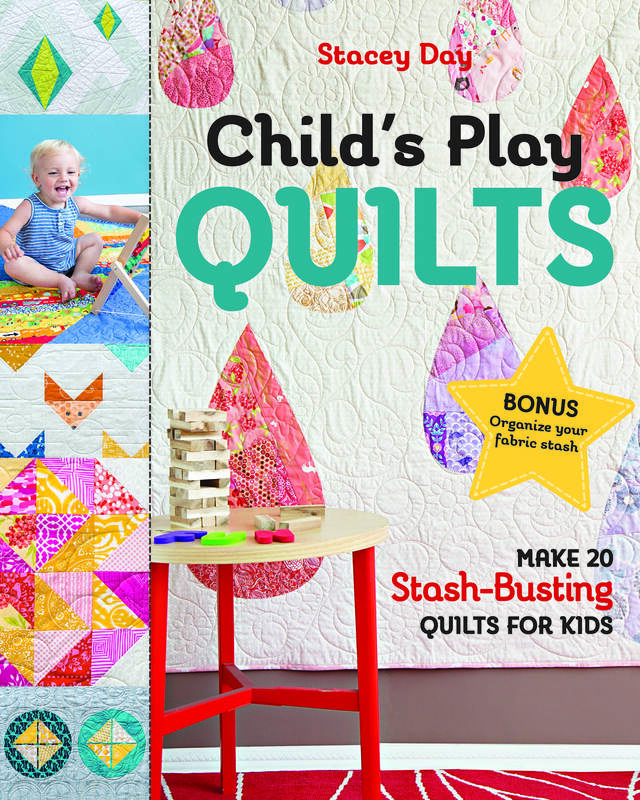 It is slated for release this fall, and I know that Fat Quarter Shop will be carrying it. The main prints are absolutely stunning!! You can see the entire collection here on Moda’s website. The first collection is being released this month. 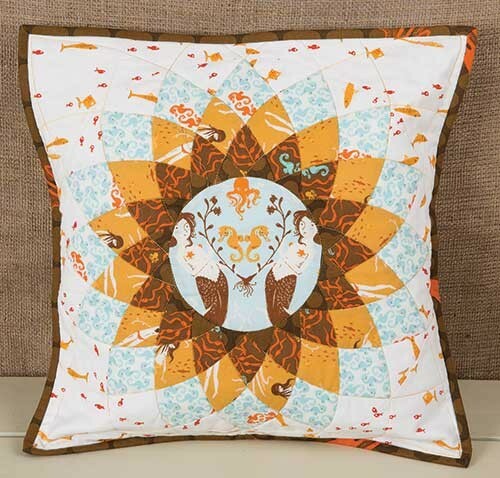 Called Folklore, it is a stunner of a collection in all beautiful shades of lime, teal, aqua, yellow and orange. I wrote two patterns for this collection, the first being Dewdrop. 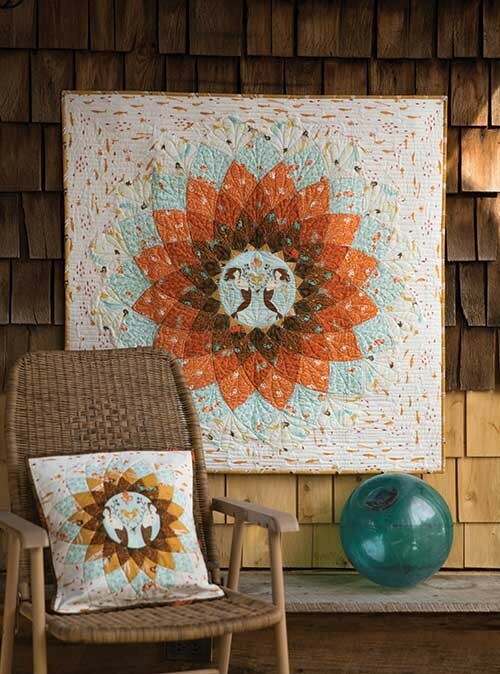 The second quilt is called Sunshine Garden. I am so happy I can finally share what I have been working on the last few months. 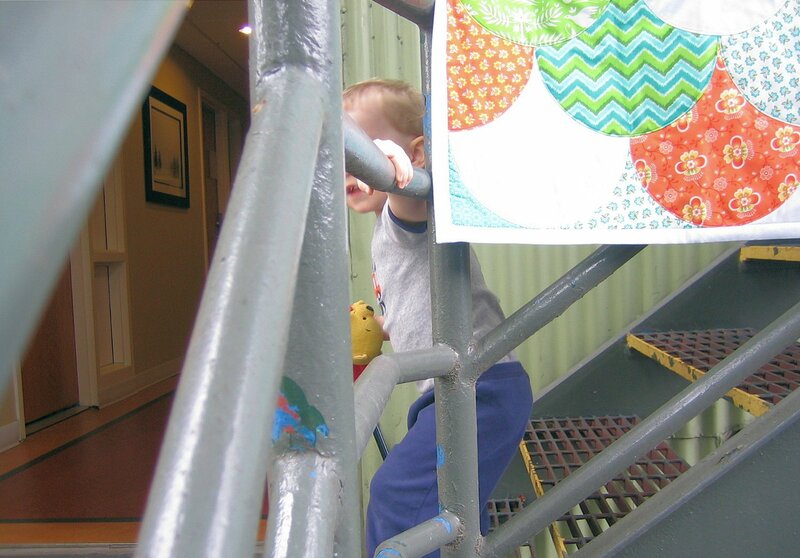 The little guy even had fun, since there was no shortage of stairs at the office!